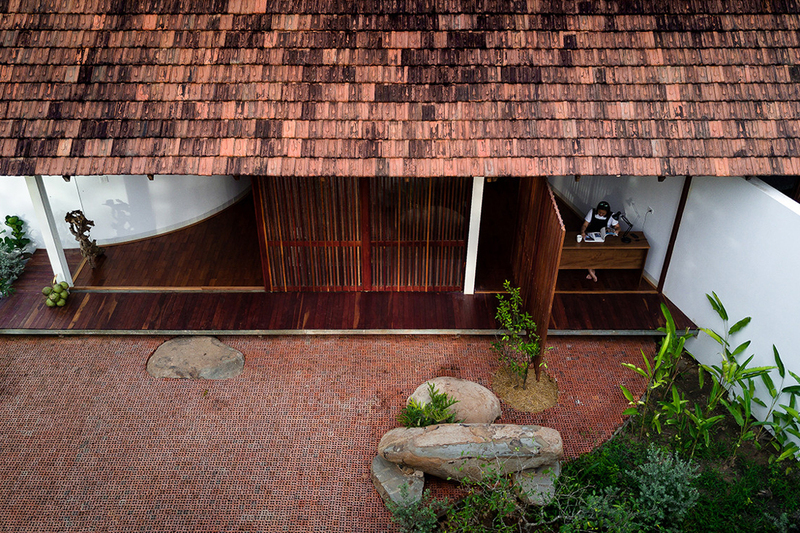 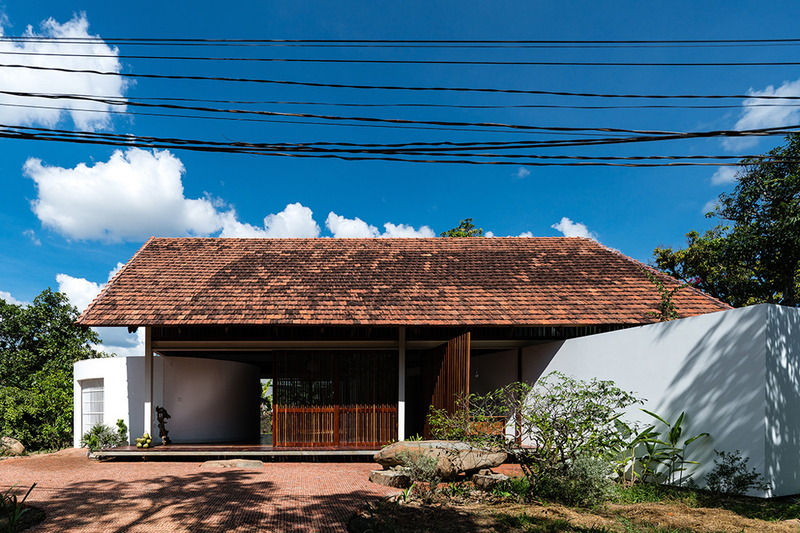 A multicultural vernacular, resulting from a welcomed migrant population, inspired the architecture for this residence by Rear Studio in Vietnam. 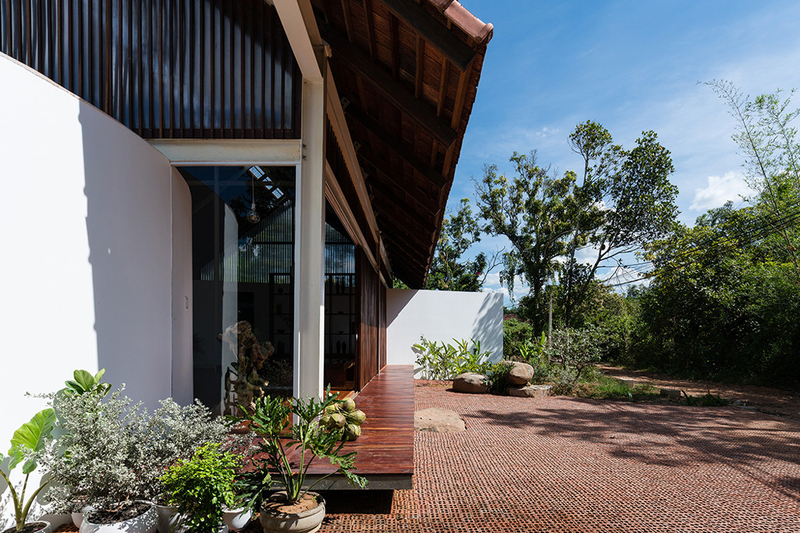 In a built form that turns conventional notions of a house – four walls and a pitched roof – on its head, YT House by Rear Studio and AHO Design Studio presents itself in a somewhat disassociated manor. 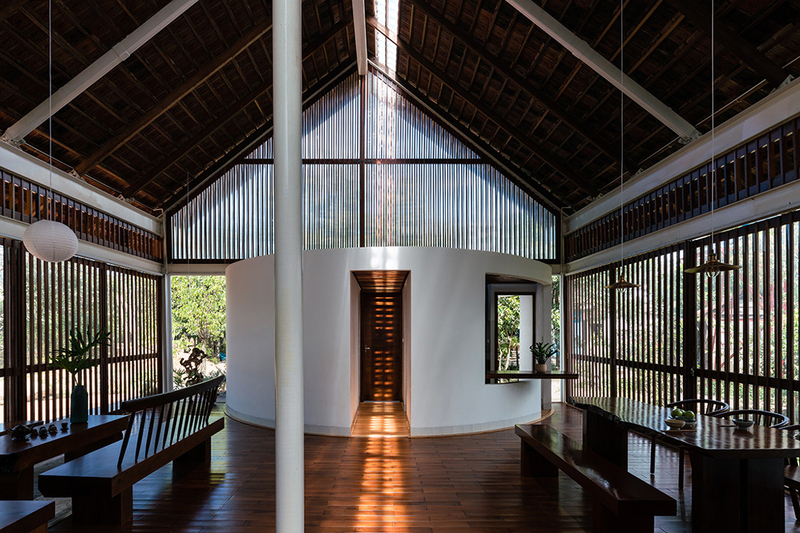 Simple geographic forms, on one end a circle and the other a rectangle, are connected by a seemingly floating roof that doesn’t quite cover the entire structure. 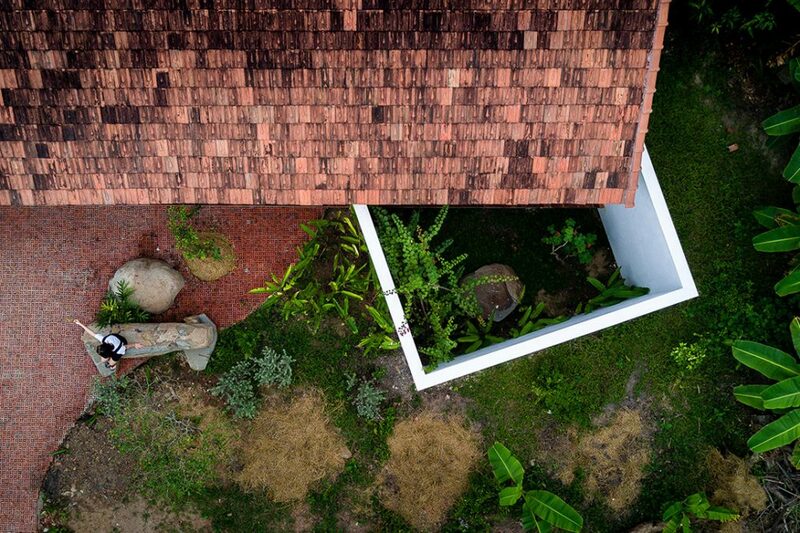 Aerially, this is especially notable. 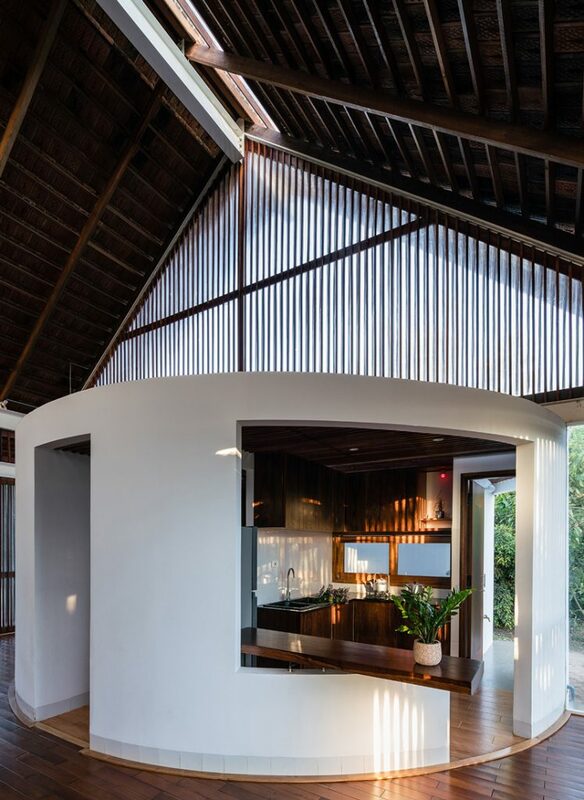 The kitchen and amenities are housed in the circular structure, as is the formal entry, while the two bedrooms are enclosed within the rectangular structure, bookmarked by internal yet uncovered courtyards. 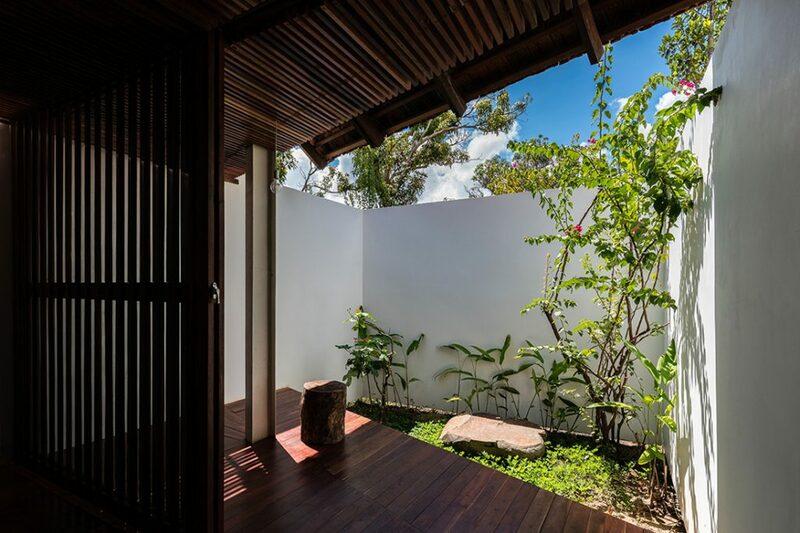 Solid walls mark these private spaces. 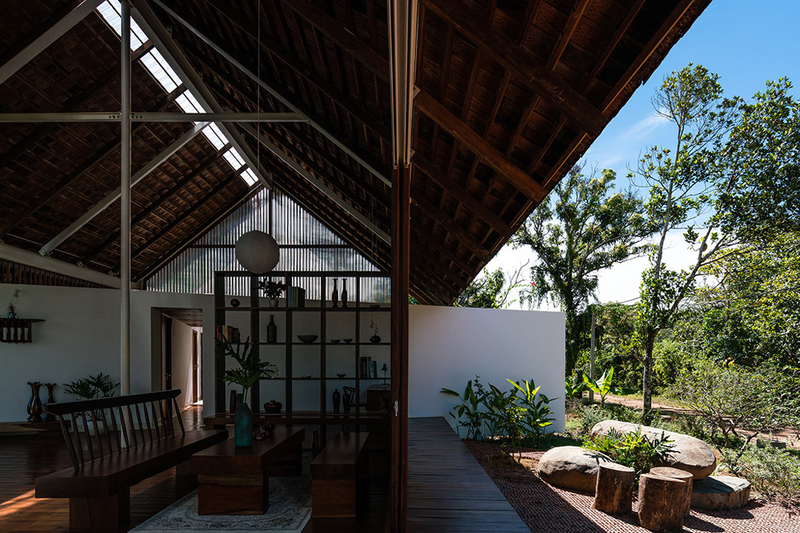 Beneath the traditionally pitched roof and connecting the two ends of the residence is the public space: living, studying and dining quarters on an open plan. 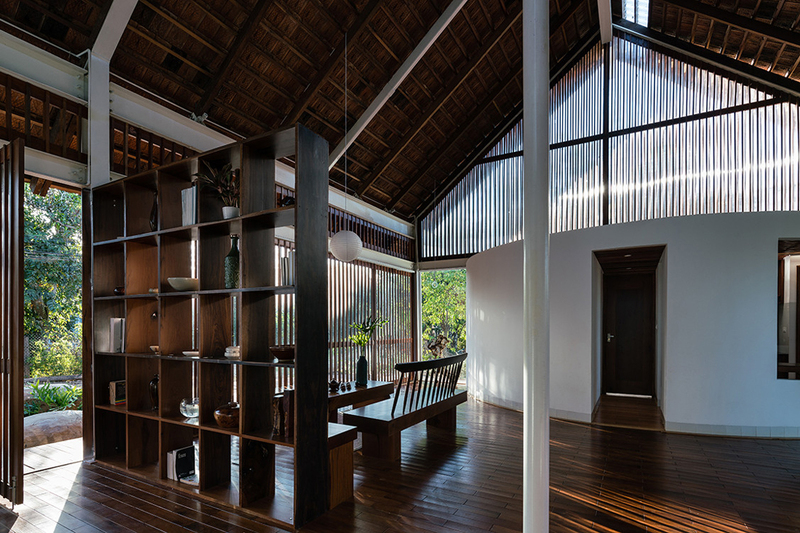 Sliding timber batten screens form the walls along the length of the house, allowing residents to feel in amongst nature even when they are indoors. 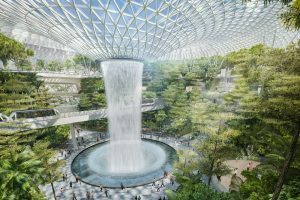 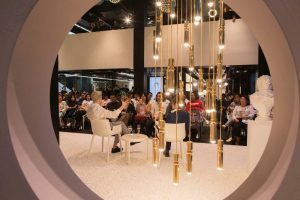 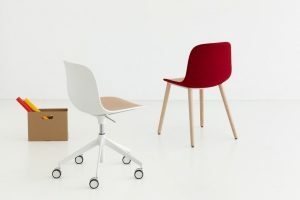 “On one hand, [this space] connects the two main functional blocks, on the other hand, it connects the external and internal spaces,” says the project architect. 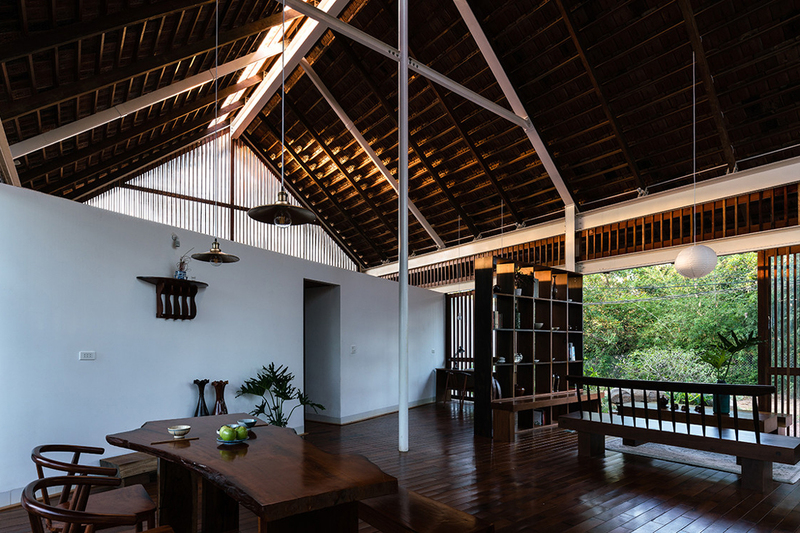 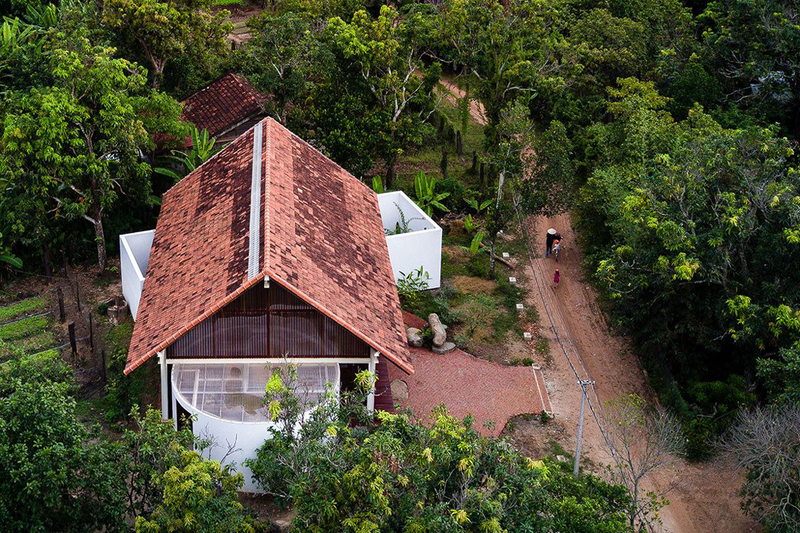 Situated in a small village northwest of Dalak, Vietnam, with a large migrant population, Rear Studio has clearly been influenced in their design by the multicultural vernacular that characterises the area.